Two-thirds of older patients with acute myeloid leukemia (AML) achieved complete responses with the combination of venetoclax (Venclexta) and cytarabine, according to results from a phase I/II trial. The combination led to complete response (CR) or CR with incomplete blood count recovery (CRi) in 38 of 61 patients (62%) treated with the recommended dose of venetoclax. One additional patient had a partial response (PR). In the subgroup of patients with intermediate-risk disease status, the combination resulted in a complete response rate of 76%. 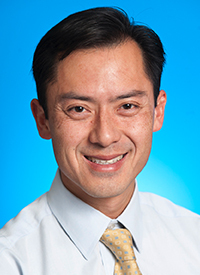 Additional subgroup analyses showed high response rates in patients with adverse risk factors, with and without prior treatment with hypomethylating agents, or secondary AML, as reported at 2017 ASH Annual Meeting. On the basis of the activity demonstrated in the study, enrollment has begun in a phase III registration trial, he added. Many older patients with AML receive only palliative treatment. For patients who cannot tolerate intensive therapy, low-dose AraC leads to a low response rate and few durable responses, said Wei. Venetoclax demonstrated single-agent activity in AML, and data from a dose-expansion study showed a high rate of complete response with acceptable toxicity in older patients treated with venetoclax and low-dose AraC. These updated results represent long-term follow-up and a larger number of patients treated with venetoclax 600 mg and AraC 20 mg/m2. The 61 patients included in the analysis had a median age of 74, and 37 (61%) patients had intermediate-risk cytogenetics. Wei said 27 (44%) patients had secondary AML, and 17 (28%) patients had prior exposure to hypomethylating agents. The entire cohort had a complete response rate of 62%. Selected subgroup analyses showed complete responses (CR + CRi) in 76% of patients with intermediate risk status (n = 37), 47% in those with adverse cytogenetics (n = 19). The rate of complete response was 66% in patients with no prior exposure to hypomethylating agents (44%), 53% of patients with prior exposure to hypomethylating agents (n = 17), and 52% in patients with secondary AML (n = 27). Wei said the median time to response was 1 month and median time to best response was 2.6 months. The cohort had a 12-month survival of 45.9%. Median duration of complete response was 13.2 months. An analysis of response duration and survival showed that patients who attained CR had yet to reach median overall survival (OS), as compared with 11.7 months for patients who attained CRi and 3.8 months for patients who did not respond. The 12-month survival was 100% for the CR subgroup, 49.2% for the CRi subgroup, and 4.8% for nonresponders. The median number of treatment cycles was 15 for patients who attained CR, 7.5 for patients with CRi, and 2 for the nonresponding subgroup. Cytogenetic status and molecular profile influenced survival. Patients with intermediate-risk cytogenetics had a median OS of 15.7 months, which dropped to 5.7 months for patients with adverse cytogenetics. Data for selected molecular subgroups showed that the median survival had yet to be reached for 7 patients with NPM1 mutation and 3 who were CEBPABIALLELIC. Survival declined to 11.4 months for patients with chromatin-spliceosome mutation (n = 22). Twenty patients with TP53 mutation or aneuploidy had a median survival of 6.5 months. The trial also provided information about the influence of mutations in FLT3 and IDH1/2, which are recurrent in AML. Though not driver mutations, they could have prognostic significance for available therapies, Wei said. Median duration of response or survival had yet to be reached in 3 patients without FLT3 mutation and 4 with the mutation. All 7 patients achieved complete response. Response and survival did differ by chromosome-spliceosome FLT3 status. Among 15 FLT3-negative patients, the objective response rate (ORR) was 80% and median duration of response was 8.3 months. OS was 16.9 months. Seven patients who were FLT3 positive had an ORR of 43%, a 5.2-month duration of response, and a median survival of 6.5 months. Among 6 patients with IDH1 mutation and six with IDH2 mutation, the ORR was 71%, median duration of response had yet to be reached, and median OS was 13.6 months. The cohort had a median time on venetoclax of 4.9 months. Forty-five patients (74%) discontinued by the time of the analysis. Twelve discontinued because of progressive disease, 4 because of adverse events (AEs) related to progression, and 8 because of AEs unrelated to progression.